When it comes to pond duck hunting it is not a matter of asking where a pond is, go there and hunt. It is a matter of scouting as many ponds as can be covered as quickly as can be done. Find where the ducks are working. Setup and hunt. Pond duck hunting is more a matter of scouting then hunting. The ideal would be to have a duck hunt without the work. That kind of duck hunt is available elsewhere where the ducks come out of a box. 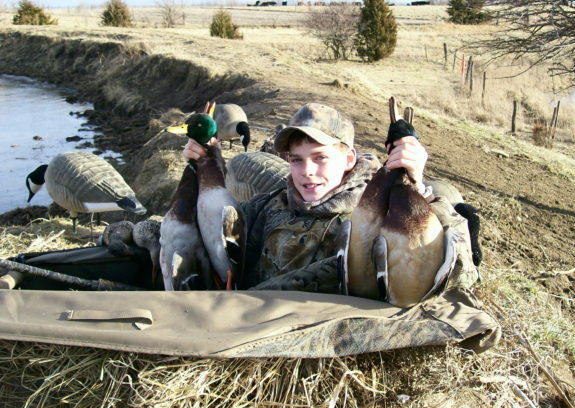 Association unguided duck hunting long with the benefits gained from making your own hunt comes the responsibility for that hunt. A challenge not everyone is fit for. Those that want such a hunt will find more ethan a couple of ponds for ducks. Picture of a duck hunt over one of our ponds. A grouping of the hundreds of farm lakes, ponds and beaver dams wetlands that exist throughout the Association’s properties along and near major Missouri flyways, waterfowl refuges, state and federal wetlands. These bodies of water are not managed in terms of water level control, habitat development or blinds, however they still require a reservation to hunt. They are 100% natural, hunt it on your own areas. The advantage of these properties is they contain un-pressured birds that respond to calling. 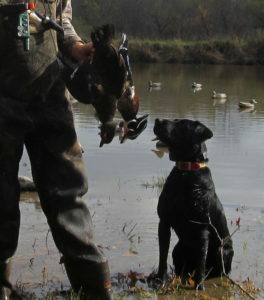 The ducks are not accustomed to multiple hunters’ calls or numerous decoy spreads. The ducks that occupy these waters remain largely undisturbed for the duration of their stay. An example of this hunting is the picture containing duck, goose and pheasant from one morning’s hunt on a 5 acre farm lake surrounded by crop stubble. 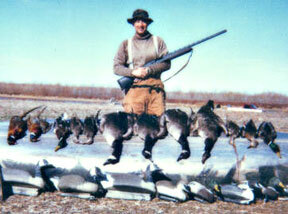 This particular property is on the Missouri River flyway close to a federal waterfowl refuge. 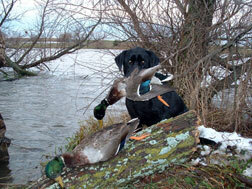 This is Al S., a well rounded duck hunter that concentrates on a dozen or more watershed lakes and farm ponds. 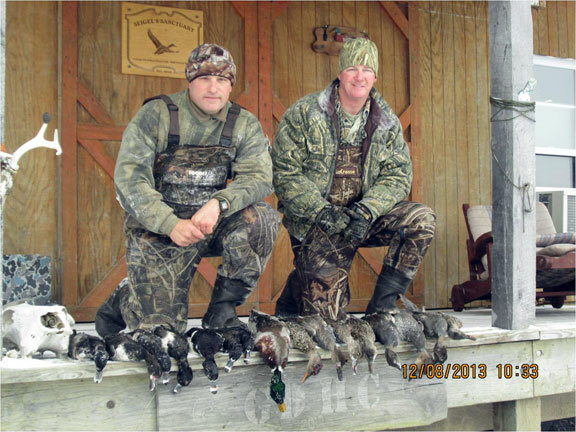 His comments reference this kind of waterfowl hunting is that he sees hundreds of ducks and geese versus the thousands that inhabit the larger wetlands and that these birds are not call or decoy shy. The pheasants were harvested on the way out of the pond. Al also commented that he has yet to see another hunter while on these ponds.